My Studio volunteers our time annually with the Leukemia and Lymphoma Society (LLS) Dayton and Cincinnati Chapters. 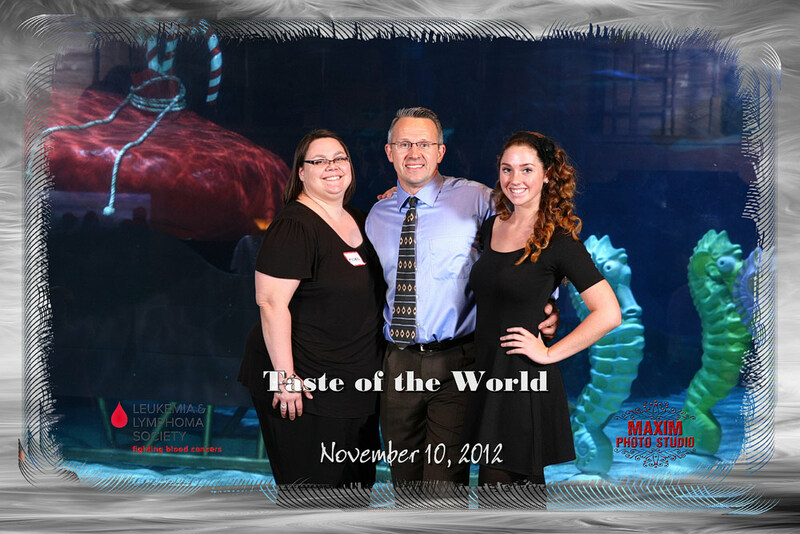 Throughout the year LLS hosts multiple fundraising and awareness events and last night we participated in the annual Taste of the World event at Newport Aquarium. We were stationed in the theater, photographed and provided onsite 4×6 prints to all couples in attendance. The event was a great success for the primary sponsor The TYE Group Realtors, LLS, and my Studio. Of course I couldn’t have done it without my awesome crew, Angela and Rebecca. Here we are at the end of the night doing something which we almost never do and that is to get in front of the camera rather than behind the view finder. This is the actual print with custom border and wording which we printed last night and similar to the prints which we provide during our Live Photo Booths at weddings.